The three Ps of power system reliability are planning, protection and performance—and they’re interrelated. Transmission planners are responsible for planning the transmission system and studying future transmission system conditions to ensure that it’s capable of handling anticipated needs. Future load growth, generation additions, transmission expansion, reconfiguration, and changes in protection schemes are some of the key elements affecting grid reliability, and therefore a comprehensive reliability evaluation is needed on a periodic basis. The North American Electric Reliability Corp. (NERC) transmission planning (TPL) standards are guiding principles for transmission planners for conducting such evaluations. The standards require assessment of system conditions in near-term and longer-term planning horizons under various contingency conditions to ensure the transmission system can survive all credible single-element disturbances without loss of any firm demand. The purpose of planning studies is to catch any potential reliability issues well in advance, so that proper mitigation measures can be implemented before an outage situation or crisis arises. Protection engineers are responsible for designing and studying protection systems. As the job title suggests, the goal of a protection engineer is to design a safety net to protect the power grid. Design of a power grid protection system is more of an art where engineers ensure that different protective elements in the power grid work in harmony to isolate network components in the event of a disturbance and avoid the cascading impacts and damage to equipment. Coordination among the protective devices in a networked transmission system is critical. Proper coordination ensures that each device operates under specific triggering events for the intended purpose. In a simplistic way, protection engineers design a complex safety net working mainly with two categories of components — sensing devices (relays) and isolating devices (breakers, switches). The sensing device acts like the brain of a protection scheme, which sends signals to isolating devices to take action based on predefined logic. The challenge for protection engineers is to design a scheme that protects the power system and its components from possible fault events and at the same time avoids conflicts to ensure that operation or mis-operation of multiple devices doesn’t result in unintended consequences. Planning and protection functions greatly affect the performance of the power grid. Coordination between the two functions with mutual understanding of the importance of each could play a vital role in limiting widespread power system outages. According to NERC, there were three major system disturbances between 2004 and 2008, caused by a failure of a single component in protection system. A joint report from the Federal Energy Regulatory Commission (FERC) and NERC staff on the Arizona-Southern California outage on Sept. 8, 2011 identifies that protection system elements had major contributions to the outage. The report also cites the interaction of various protection systems and unintended consequences of remedial action schemes (or special protection schemes). The PacifiCorp outage in 2008 gave rise to a new debate in the transmission planning community. The question was if a Category B disturbance, as defined in the TPL-002 standard, is limited to faults with normal clearing where the protection system operates as designed, or the requirement is extended to protection system mis-operations and failures as well. After the NERC interpretation, a FERC notice of proposed rulemaking, and several discussions on this topic for over a year, FERC issued the final rule in Order No. 754, which identified an issue concerning the study of non-operation (failure) of non-redundant primary protection systems, saying TPL-002 needn’t address the study of a single point of failure on protection systems. The order also directed commission staff to meet with NERC and its appropriate subject matter experts to explore this reliability concern, including where it can best be addressed, and to identify any additional actions necessary. It’s important for transmission planners to understand the configuration and design of protective devices and coordination scheme to fully evaluate the system performance. At a very basic level, the configuration of breakers in a transmission system dictates the events for transmission planners. A single contingency event is defined by taking into account the breaker-to-breaker operation, as that’s the only way an element or elements could be taken out of the transmission system. But overlap and coordination between the two functions go well beyond that. Timing and speed of protective devices play a major role in transmission planning studies. Breaker opening and relay operation time determines the total clearing time for a fault, which affects the transmission system stability performance that planners are responsible for monitoring and addressing per TPL standards. Planning engineers determine the critical clearing time for breakers to meet the reliability criteria in the facility addition studies. Protection engineers need to receive that feedback in order to design the protection scheme appropriately. In some instances, it’s quite possible that a critical clearing time can’t be achieved. 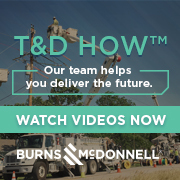 Under those circumstances, planning and protection engineers need to work closely to identify additional mitigation measures to maintain transmission reliability. Such solutions might involve reconfiguring the breaker scheme or creating additional transmission elements to improve system performance. The need for coordination will continue to increase over time as the future grid will likely be more complex to analyze with the introduction of smart grid technology, energy storage systems, and variable generation resources, among others. Transmission planners will have to ensure that dynamic simulations include as-built protection system attributes in order to accurately study the interplay of various power transmission system components under a disturbance, along with generation variability such as cloud cover and wind gusts associated with solar and wind generation respectively. This would require setting up internal processes that enforce enhanced communication and coordination between planners and protection engineers. In response to the FERC Order 754, NERC has developed a plan to explore the reliability concerns related to the single points of failure on the protection systems. As a first step, NERC is interested in identifying the extent and risk involved with single-point-of-failure events. NERC worked with industry stakeholders for nearly a year to develop a request for data and information. The request was revised twice based on the feedback from stakeholders during this process. The final version was approved by the NERC board of trustees on Aug. 16, 2012 and became effective Sept. 1, 2012. The data request requires transmission planners to work with transmission owners, generation owners, and distribution providers to assess single points of failure in protection systems. In the final version of the data request, NERC suggested an 11-step process to perform this assessment for all voltage levels over 100 kV. However, regulated companies and organizations have flexibility to follow an alternate method as long as it generates all of the requested data. The schedule for completion of the data request was initially proposed as one year. NERC received several industry comments on this draft. Some of the major areas of concerns involved scheduling and reporting, burden on transmission planners, proposed method, voltage threshold, facility selection criteria, and performance measures. Based on the comments received, NERC revised the data request, clarifying that entities can use alternate methods in developing the response and can also use the existing information and studies. NERC also extended the overall timeline to two years. According to the reporting schedule included in the data request, the entities are required to provide a status update by Feb. 28, 2013, and specific deliverables are due every six months thereafter. The deadline to complete this effort is Sept. 30, 2014. Although the final version of the data request gives affected entities some flexibility and reduces their burden, it still seems to be a significant effort, particularly for the transmission planners with large footprints. The data request requires transmission planners to work closely with protection system experts in uncovering potential vulnerabilities in the power grid. Recently the industry has focused substantial attention on protection system design and its effects on power grid reliability. Redundancy in design and examples of single-point failures have caught industry-wide attention, and these areas overlap between planners and protection engineers. Recent system disturbances in North America have shown the importance of coordination between these two functions. As the industry works on grid modernization to move toward a 21st-century power grid, communication channels, high-speed data transfer, and protection system sophistication will have a major role to play. Integrating more intermittent and variable resources, expanding HVDC transmission, adding more extra high voltage (EHV) transmission, and integrating energy storage will dramatically change the landscape of the future power grid. It also will require enhanced and more sophisticated study tools and procedures to perform comprehensive and complex studies that solve multi-variable problems. Clearly, the power industry is going through a transformation, and coordination and communication between various engineering disciplines will become even more critical. There’s a need to recognize this reality and quickly adjust to embrace this change. FERC Order 754 and NERC’s related efforts are just the beginnings, and the industry will continue to see the need for more coordination — which eventually will result in a better and more reliable grid. ABOUT THE AUTHOR: Diwakar Tewari (tewarid@saic.com) is a senior consultant at SAIC. Previously he was manager of operations engineering at California ISO, and led a team in transmission access planning department at the Midwest Independent Transmission System Operator (MISO). Tewari’s forthcoming feature article in Public Utilities Fortnightly will provide background and more detailed analysis of FERC Order 754 and related transmission system planning and protection trends.